For your special day, let us provide you with an elegant indoor setting where your guests will enjoy a full bar (hosted or not), hardwood dance floor, and customized menus with your choice of sit-down or buffet service. Our wedding coordinator will help ensure that your day is one to be remembered. As your wedding day approaches, you may need a little help making sure that the wedding and the reception are unforgettably beautiful occasions that you and your family can look back on with warmth and fondness for years to come. At Three Flames Restaurant of San Jose, CA our dedicated friendly staff has been working with brides for 30 years, making that special day truly special. Situated between Monterey and San Francisco in the heart of Silicon Valley, Three Flames Restaurant is ideally located for your wedding. We provide everything you need for the occasion, including linen and flowers! We’ll even cut and serve your cake at no additional cost. 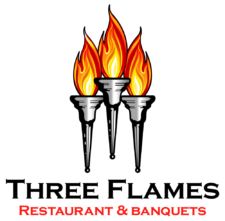 Three Flames Restaurant offers an elegant indoor setting, which can accommodate up to 300 guests, and with the option of including the wedding ceremony. Call to speak with our banquet coordinator about reserving your date! When you’re planning a banquet – whether for your wedding or a business conference – you need to know that the location, cuisine, drinks, service, and atmosphere will exceed expectations. At Three Flames Restaurant of San Jose, CA we’ve been hosting banquets of all kinds for more than 3 decades. We’re conveniently located in the heart of Silicon Valley, in the Willow Glen district. We’ve developed a reputation for excellent cuisine, exceptional service, and warm hospitality. We provide customized menus and your choice of sit-down or buffet service. 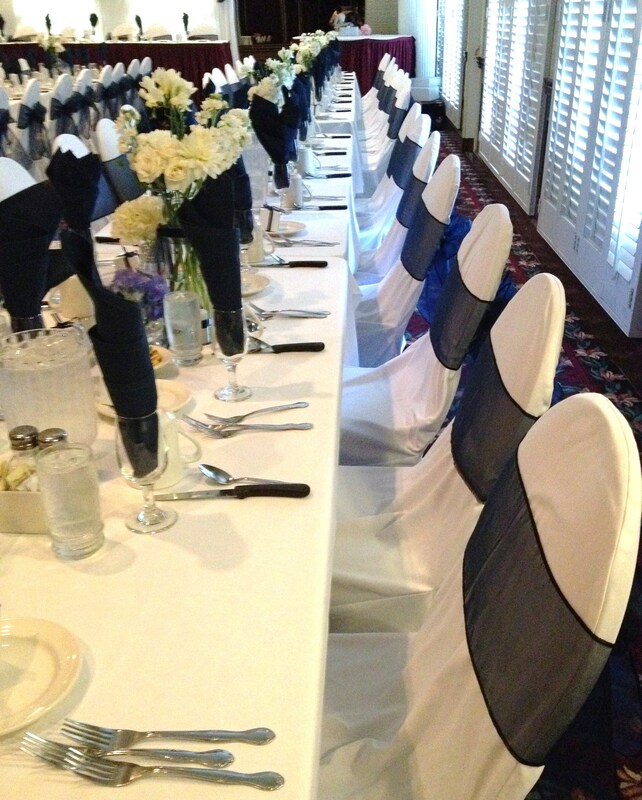 Our ballroom can accommodate 25 to 300 guests. Call today and ask about our no room rental charge. Contact us to book your reservation!